The guide will focus on Rp_Downtown as that is the most commonly played map as well as the different mechanics of DarkRP and what you generally do on it. 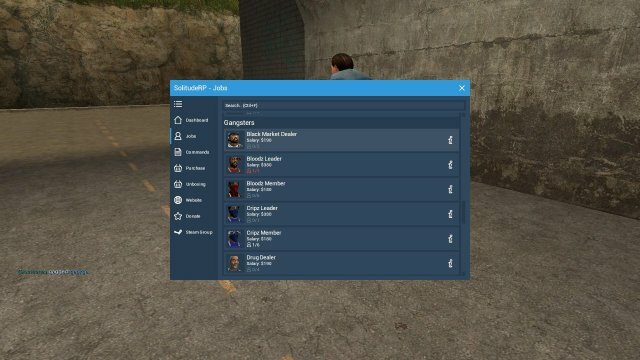 DarkRP is the most popular game mode on the game Garry's Mod as of the time of writing (2018) and has been for a very long time and will most likely continue to be in the far future hence the creation of this guide. 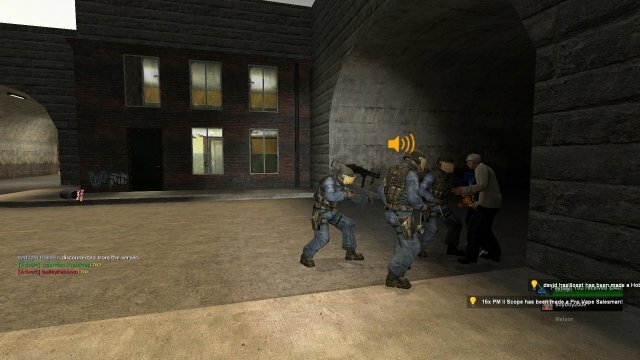 The objective of DarkRP is pretty unique compared to other popular game modes like Trouble In Terrorist Town and Murder because there is not one objective. 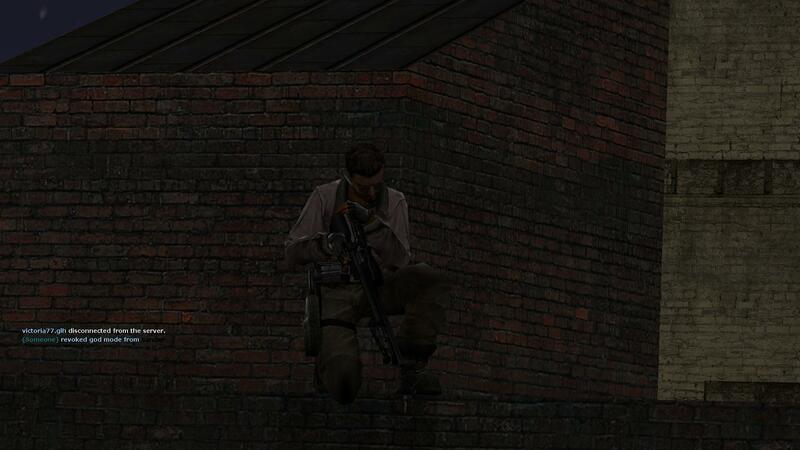 The purpose of DarkRP is to simply roleplay as different people within the game. 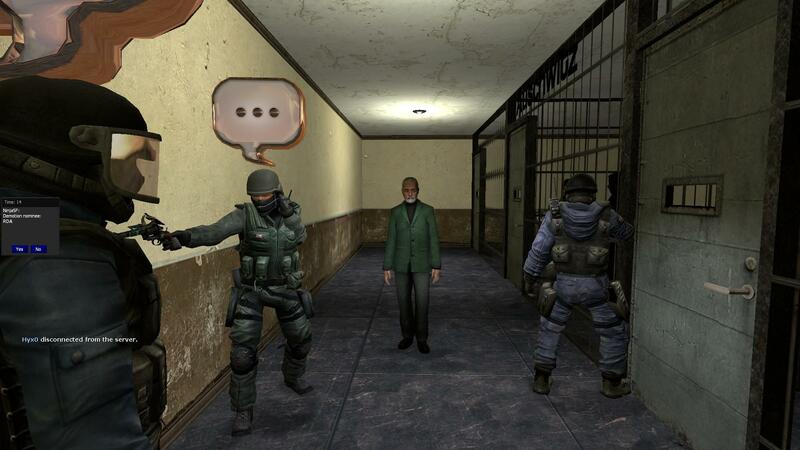 This means you act as different people with different jobs in the game such as a homeless man or a police officer the core of DarkRP is built on the people who play it working off each other to create different scenarios for people to act out and play. The type of roleplay will be further specified in a later section talking about different job categories and common jobs found among servers as well as my personal favorite jobs and why. Firstly to get to Darkrp we have to go to the game mode select which is accessed simply by pressing the find multiplayer game now there will be a long list of game modes not to worry though because DarkRP has been the most popular for years and will most likely be at the top keep in mind you must give the game a few seconds to load all the servers. 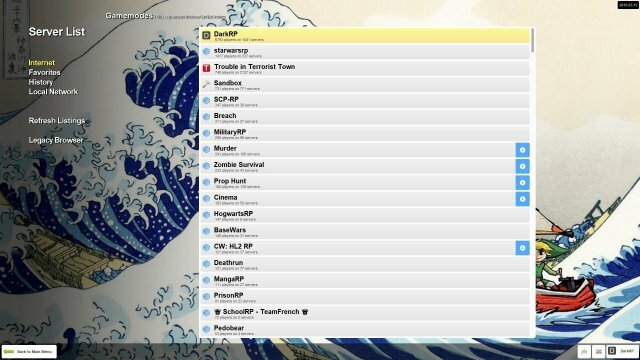 Now there is a searchbar when looking for servers and within this searchbar you can type keywords to find specific things you like about darkrp and if the server has said keyword in their name they shall be filtered to that for example "UK" can be used if you're looking for servers within the UK this allows for you to remove all the other servers that won't have this tag, however, keep in mind this can be a double edged sword for a UK server may not put the UK tag on their server name filtering them out with the rest. Connecting to a server might take a while due to DarkRP having a lot of different add-ons to enhance and change up your RolePlaying Experience. One way that may help to get around this is by downloading a servers addon pack which is a steam workshop item that will allow you to download multiple add-ons at once which will be used on that Garry's Mod server. 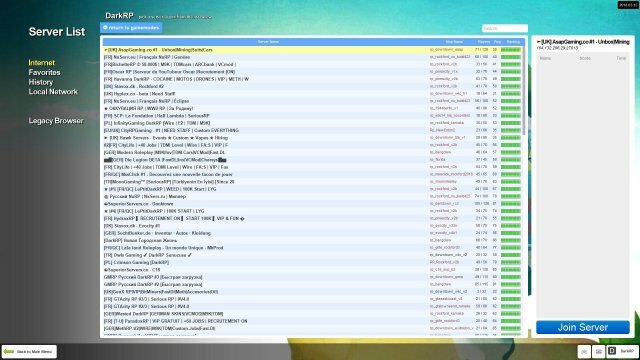 You can try to look up the server addon pack but the easiest way is to either visit their steam group (Most servers allow you to do this with !steam in chat) or to simply ask people for a link to the steam community addon pack it will be a steam community link. 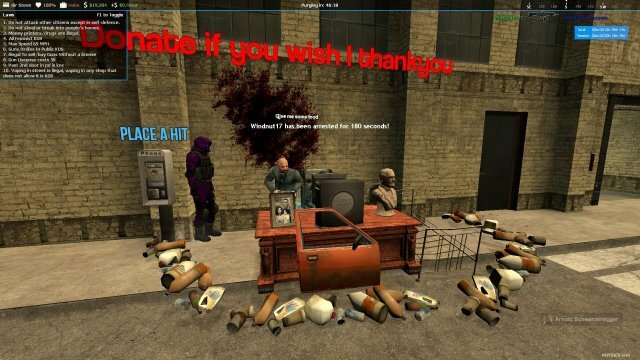 This also helps to remove errors from lack of add-ons that you may face on the server these errors be warned are different to the black and purple errors you get from not having CS textures these errors are lack of player models and other add-ons. 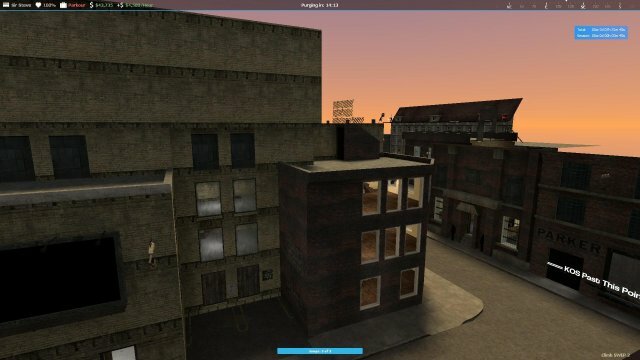 Typically most servers run the map rp_downtown_v4c_v2 and use two different spawn locations (these two locations being the most common from what I have seen). The first spawn location is the most common and is in a pretty weird section of the map having three tunnels that allow for you to access a large portion of the map. It also seems this was the intended spawn location by the map creator due to spawning there by default when playing this map in single player. The next spawn location also has three tunnels that allow you to access different parts of the map and is located more to the back of the map instead of the middle like the previous spawn location both spawn locations I have seen used the first location being my personal preference. 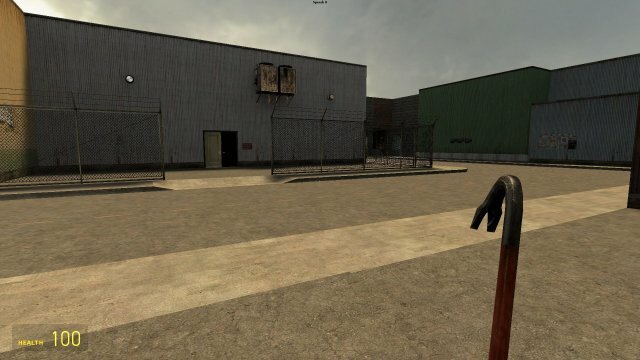 Spawn is typically a safe location within a server often disabling damage in spawn because it is a Non-Roleplay area which basically means you aren't in a location that roleplays you might be doing something like selecting a job to get into roleplay. Jobs are the largest appeal of DarkRP and are what make DarkRP into a roleplaying game mode. Now, these jobs, for the most part, can be split into three separate categories each role-playing in their own separate way. These three categories will have jobs within them that all follow a similar style of Roleplay but typically each job has their very own set of rules and restrictions. To find the selection of jobs simply press F4. Jobs in the civilian category are typically your average joe jobs such as maybe a performer or a homeless man. The jobs in this category are typically expected to follow the laws of the land set up by the government and are not allowed to do illegal things such as print money and break into peoples houses. Some people may not find this category that appealing due to the lack of typical shooting and raiding of the jobs however, this category is by far the most diverse and offers you the most different roleplaying options out of the three categories which is why this category is my personal favorite out of the three and being new to DarkRP you might want to get the roleplaying aspect down before diving into the more complex jobs. Jobs in this category are job types that try to typically either enforce the laws of the land or try to protect the leader of the land that typically being the mayor. Examples of jobs from this category include The Mayor, Swat, and Secret Service. This category is mostly tasked with people breaking the law which in most cases won't be the civilians but will be the third category gangsters/criminals. Jobs in this category typically spawn with a gun to help enforce the mentioned laws of the land. They are also not expected to break the law by doing stuff such as printing money unless specified. This is the final category of Jobs and makes up a large portion of what people typically play on DarkRP. This category hosts the criminals who are expected to do break the law of the land by doing in-game things such as print money, take drugs, and mug people. Jobs of this category typically follow a similar trend of simply just trying to make money illegally either by basing and printing money or by raiding and stealing others money. The only difference between most of these jobs is they have different weapons or are part of different gangs. 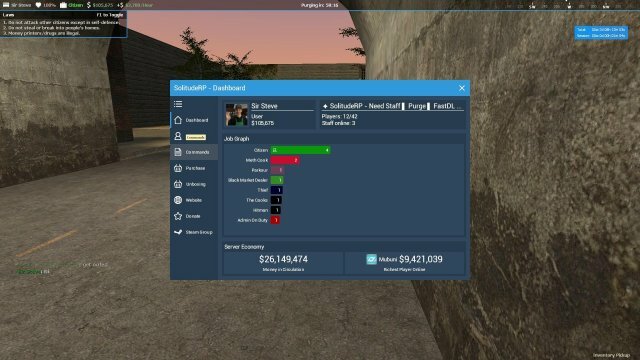 After playing DarkRP for a few years now I have come across a lot of jobs I personally love and have seen across multiple servers. 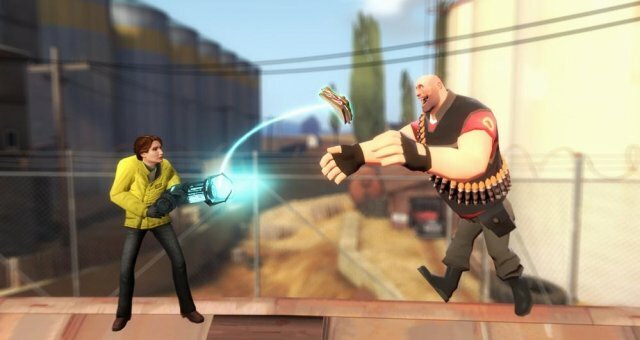 As previously mentioned my favorite category is the civilians so the majority of the jobs I like to play are from there but il just make a short list of the best jobs in my personal opinion and give them a description. Hobo is just as it sounds you will roleplay as a homeless man. The appeal in this job is that you are allowed to build in the street unlike most other jobs and try to get people to donate to you. You can do this in multiple ways maybe singing or annoying them until they donate. Hobo can be a lot of fun due to the ability to be allowed to build on the street and creating hobo bases and establishing your kinsmanship for your fellow hobos. 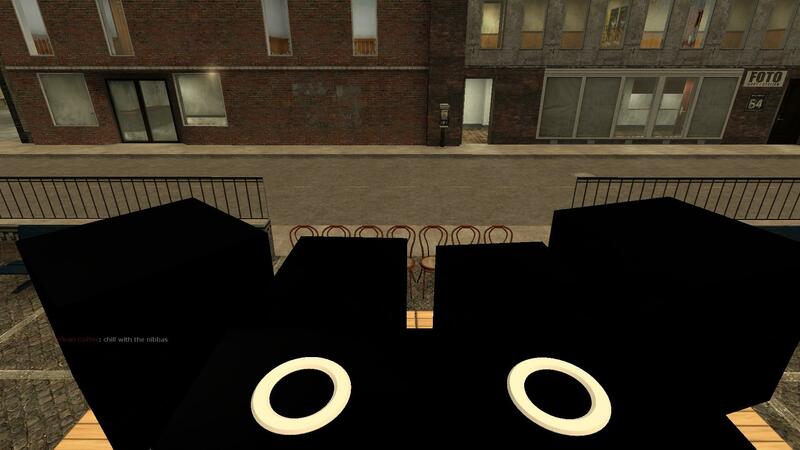 Parkourist is very simple it is a job that allows you to try to climb walls and jump on roofs using a parkour SWEP it can be fun to scale the map and get to places you shouldn't like other peoples bases. If the server is using parkour swep 2 you can even hit players with it to shake their screens as a little bonus but be warned not only will this annoy the victim but will most likely result in you getting shot. A DJ's job is to simply play music depending on the server this can be on the mic or it can be through an entity (a radio) and create a station. The appeal of this job is simply sharing your music taste and supplying people with music you can even take requests and may even charge for such requests in order to try and make some money. Swat is just a simple job that tries to enforce the law of the land to stop criminals from doing illegal crimes and to keep peace among the city. They need to protect public buildings such as the PD and the bank and ensure that everyone is safe. Swat is the best simply for the reason they typically spawn with the best weapons. Mayor is the one who sets the laws of the land it can be pretty fun being in power setting laws and overall just running the town fun things to do as mayor is set pretty outrageous laws or actually try to keep the land in peace which is quite difficult with all the criminals running about. Be warned a lot of people like to put hits on the mayor via the hitman job so try to be careful. Speaking of hitman he is the final job I like to play and he does what it says on the tin he kills people for money pretty simple you can have fun trying to pick off your target from a distance try to mingle with the crowd or you can just run up to them and shoot them in a face with a gun whatever gets the job done and what gets you paid. 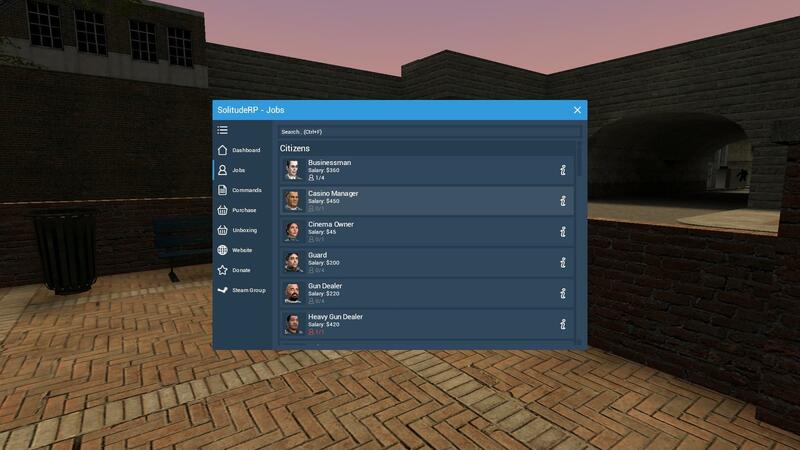 The F4 menu is where you are going to get the majority of your entities and other goodies. You will most likely spend a decent amount on the F4 menu it being the center of where to get the stuff that allows for you to make money. The F4 menu consists of a few sections including the previously mentioned jobs. I will list the sections and tell you what you can expect to see from each individual section. As you can see this is what most servers F4 menus will look like. They will most likely have a bunch of different tabs that lead to different sections each section offering a different offering different things such as the Jobs we have previously discussed however, that isn't the only thing useful about the F4 menu typically you can find graphs and server economy and other things through it as demonstrated with the image above. However, apart from the jobs menu, I think there are two other sections you will use a large portion of the time while playing DarkRP. One useful section is the commands sections this section allows for you to do certain commands that complete actions. These commands are very commonly used like the drop money command can be used to make a transaction between you and someone selling some goods. It is important to know you can also manually type these commands using chat in the case of our drop money example it would be /dropmoney [amount]. Certain jobs such as mayor will have a lot more commands to help them complete their role which means this list might be different depending on your job and what the server allows you to do. The purchase menu will have most likely your main income of money holding things such as the money printers you use to illegally print money as well as other things like potentially weapons and ammo. This is especially true of the job gun dealer who just like the commands menu depending on your job you will have extra items such as the gun dealer having access to guns or a meth dealer having access to meth cooking tools. The purchase menu will definitely be different on a server by server basis. 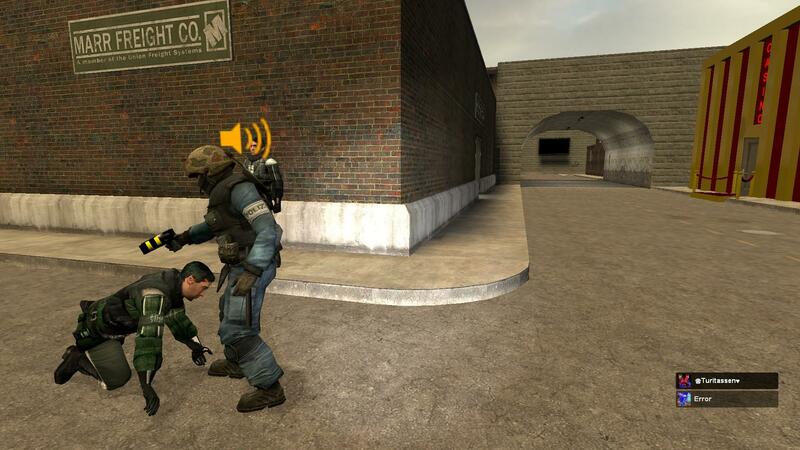 Quick note I am aware props are just a part of Garry's Mod in general but they are a core part of the DarkRP gamemode. 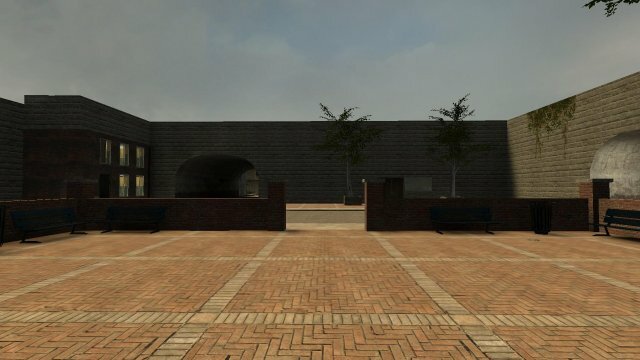 Building is an essential part of DarkRP and allows for you to make your building more unique and more customised. There is a lot of things you can do with buildings including building bases to protect your illegal printers from others. I won't make a guide on how to build such bases because this is a guide on the basics of DarkRP and I am also no expert in building bases if you want tto get into building bases you should check out other guides and or videos. But simply if you hold Q you will bring up the above menu. The selection of different objects are called props. To spawn a prop simply left click it while holding "Q". 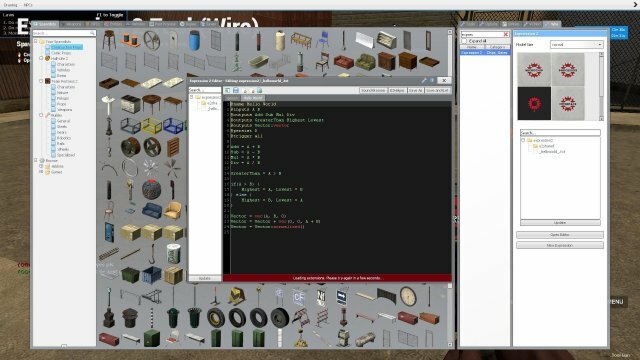 These can be used in your house using a physgun and holding left mouse button will allow for you to move the prop by moving your mouse around or by using your middle click button to move the prop further and closer to you. You can right click to freeze props in place also to ensure they don't get knocked over. While holding left click you can hold shift to make your prop snap to the nearest 45 degrees of the world (Makes your prop stand straight etc). 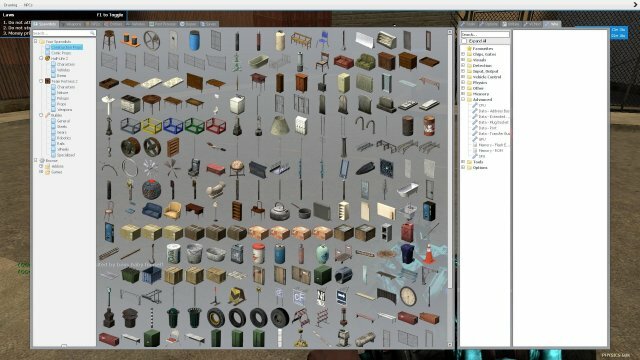 It is important to note there are multiple different tabs on the left that allow for different props as well as a search bar in the top right to look for specific props. Servers will ban and allow different props it works on a server by server basis. Again if you need more help building look up a video. Tools are another part of the Q menu if pay attention to the right side of the screenshot. These tools allow for you to do different things to your props as well as the environment. Each tool is so different and offers you a lot of different options so the best way to get a feel for the different tools. I will simply tell you ones you will most likely commonly use. Keypad tool - allows for you to link it with a prop that has a fading door on it to create a code to open the door. Fading door - Allows for you to make a prop no collide / invisible to allow for users to walk through typically used with the keypad to give a door like an effect. Precision - Can do lots of things but what I mostly use it for is to snap my prop to the nearest 45 degrees of the world. Stacker - Allows for you to spawn a duplicate prop relative to an original i.e Above, Below etc.. Some servers offer the wire addon which is pretty much more tools that allow for you to do more complicated things such as make automatic money printers and link props to set off other props. Wire tool allows for you to create more advanced bases and scenarios, however, it is an addon and not all servers offer it. Wire Mod can be complicated and would be better explained in a youtube video. E2 or expression chip 2 is part of Wire mod and allows for users to freely program using script language to program even more advanced stuff and is for the especially tech-savvy and programmers among you again I don't use this much too so I feel a video again would be more appropriate. There are already made expression 2 dupes out there if you wish to copy them and check out what it can do for yourself.